The English rock band was formed in the year 1977 in London, England. The band comprised of lead vocalist and bassist Sting, guitarist Andy Summers and drummer Stewart Copeland for majority of their active years. The band became very popular during the late 70s and is considered as one of the first ‘New Wave’ groups which earned mainstream success. 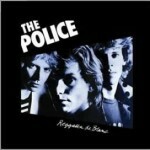 The Police incorporated various music genres like punk, reggae and jazz in their works. The Police’s album ‘Synchronicity’ which was released in 1983 became #1 on both UK Albums Chart and US Billboard 200. The album became so popular that it went on to sell over 8,000,000 copies in US. The group disbanded in the year 1986 only to reunite again in 2007 for a world tour which lasted until August 2008. The band has sold more than 50 million albums all across the globe. Their final tour made the band members as the world’s highest earning musicians in 2008.